Can’t open the dryer? Don’t like the way the appliance is working? 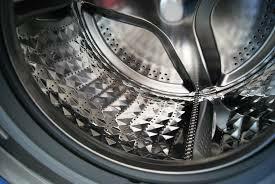 If you suspect dryer problems, let our North Hollywood dryer repair experts take a look. We provide fast response troubleshooting and can help you with dryer concerns. From installing a brand new dryer to servicing the existing one, you can turn to our A to Z Appliance Repair in North Hollywood CA! Trained to inspect home dryers and identify their problems, our experts can easily diagnose issues and repair the appliance. Damaged dryers are bad for you. Let our dryer repair experts fix them. Garments will never dry properly, the cycle is going to last longer, the appliance might increase temperatures above the permitted level, energy will be wasted and you’ll be taking risks with your safety. Why suffer the consequences of malfunctioning home dryers when our team stands only a breath away and is ready to offer same day, affordable dryer repair in North Hollywood? Call us the minute you suspect a problem. We fully understand the importance of washer and dryer repair services, and assist customers in the North Hollywood area as fast as possible. Dryers can set the place on fire if there is too much lint in their tubes or they are not serviced and installed properly. Avoid risks by trusting any service related to this appliance to our team in North Hollywood, California. Bought a new dryer and want experts to install it? Give us a call and we can schedule a date for the dryer installation service. Our technicians give gravity to every single detail in order to ensure that the appliance breathes well and functions with safety. If you care to maintain it in excellent condition, let our technicians check its parts regularly. With annual dryer service, it will be safe and functional. Do call us if you need our help, have questions or need emergency dryer repair North Hollywood services now!